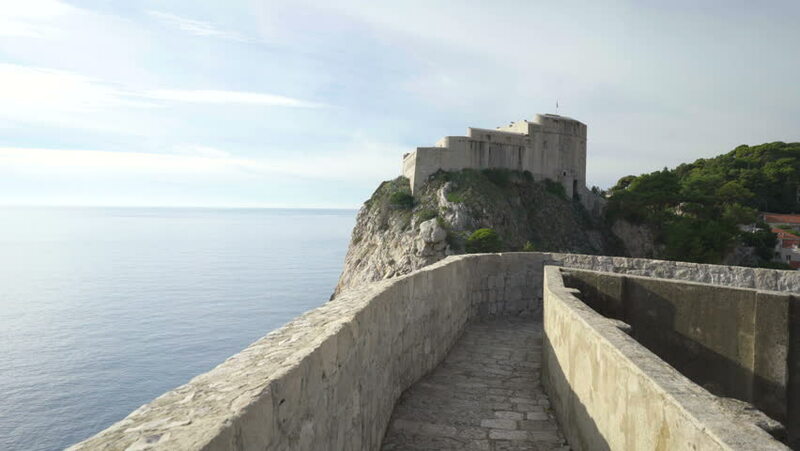 Fortress Lovrijenac in old city of Dubrovnik. 4k00:35Fort Arza in Montenegro, near the island of Mamula in the Adriatic Sea. 4k00:19View point in Lombada Velha, Madeira. Beautiful trail and huge cliff near Atlantic Ocean. hd00:11The 214-metre high Cliffs of Moher in County Clare are Ireland's most visited natural attraction. 4k00:15SMEDEREVO, SERBIA, APRIL 2017: Smederevo fortress on a sunny springtime day. Smederevo is a city in Serbia. hd00:18Aerial View: Soldaia Castle (Genoese fortress) near Sudak, Crimea, Ukraine. Summer 2013. Sudak is a small historic town located in Crimea, Ukraine, , today it is a popular resort.